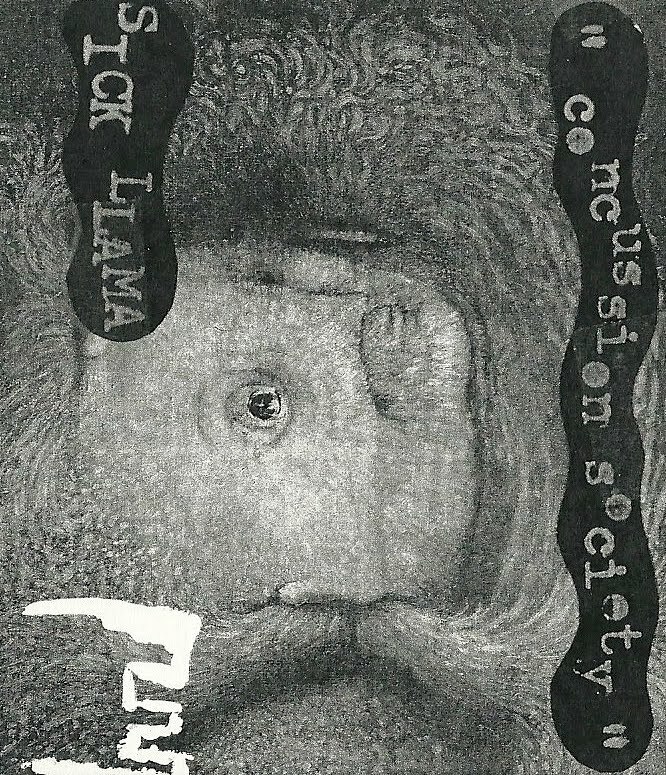 FAG TAPES: SICK LLAMA "CONCUSSION SOCIETY"
FT313 SICK LLAMA "concussion society" cassette. Sick Llama style released 2011. I forgot where i recorded this and by what means; and so did everyone else. What i mean is: this is a lost recording from the future(?) that exists now. Treatment unknown. Disease un-curable for now. You've been put down already(?) and this tape will awaken and put you to sleep, both. Real and garbage instruments communicating audio unreality classics. Honed. listen: SICK LLAMA "concussion society"